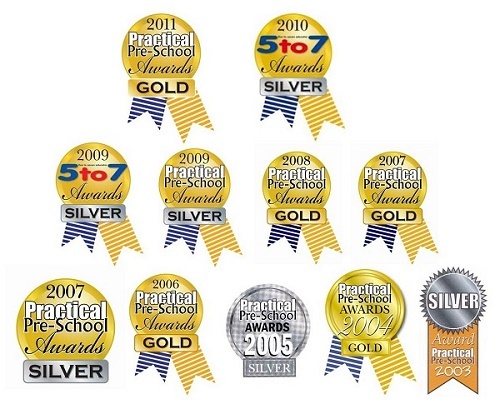 In the United Kingdom there is an annual competition for all educational materials available for preschools. Being a huge country there are plenty of entrants. Products are judged by teachers in a teaching setting, and are critiqued for their educational excellence. Over the years we have scooped the following 11 awards.